Your senses will be buzzing with the Red City’s intoxicating spicy aromas, music that will sway you with its rhythm, and your eyes will catch not only the intense colours of the souks, but the minute intricate architectural detailing in the most unassuming hidden places. 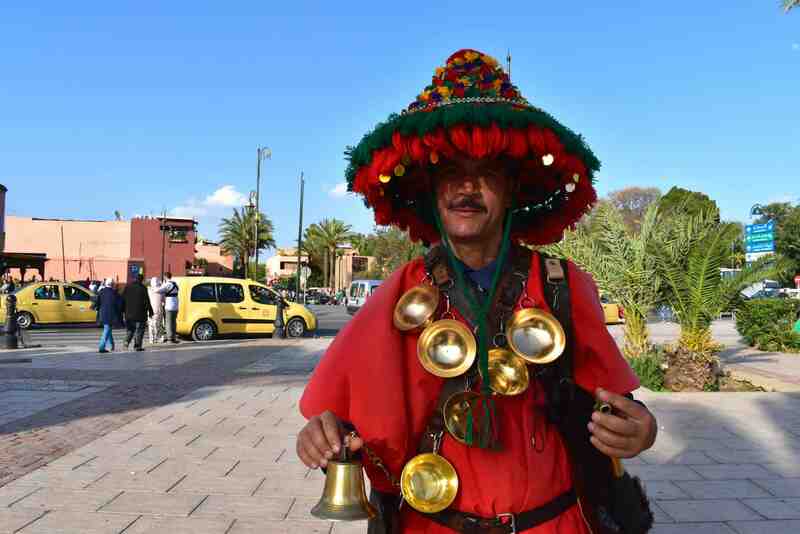 Our one day tour of Marrakesh is structured to ensure you view the most popular attractions, as well as taking you off the tourist path to places that are quieter and concealed. You will be amazed by the amount of date palms in La Palmeraie and there is the opportunity for you to gain insights from locals over a glass of traditional mint tea after a camel ride. The tour is easily customised to suit your particular desires. Some highlights include the famous square called Djemma el Fnaa, which is known for its snake charmers, performers and snack stalls. 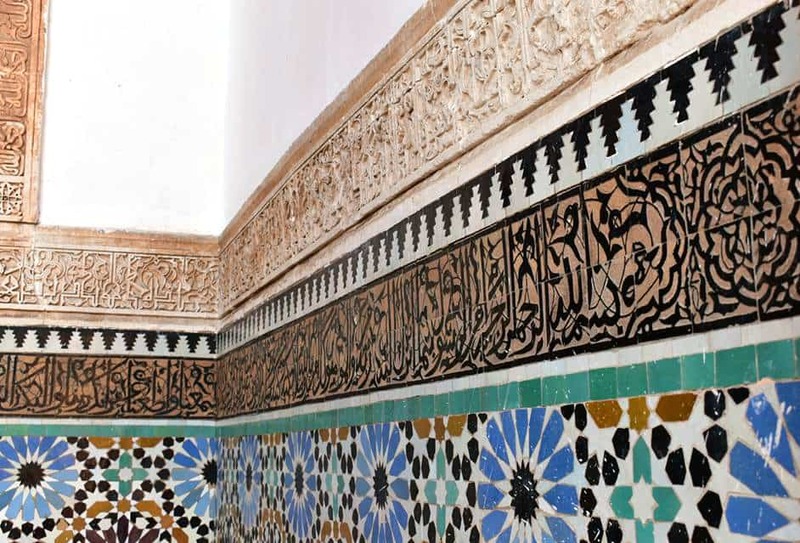 At the Saadian Tombs you will view opulent marble amongst the tombs of 60 members of this dynasty that ruled in the 16th and 17th centuries. 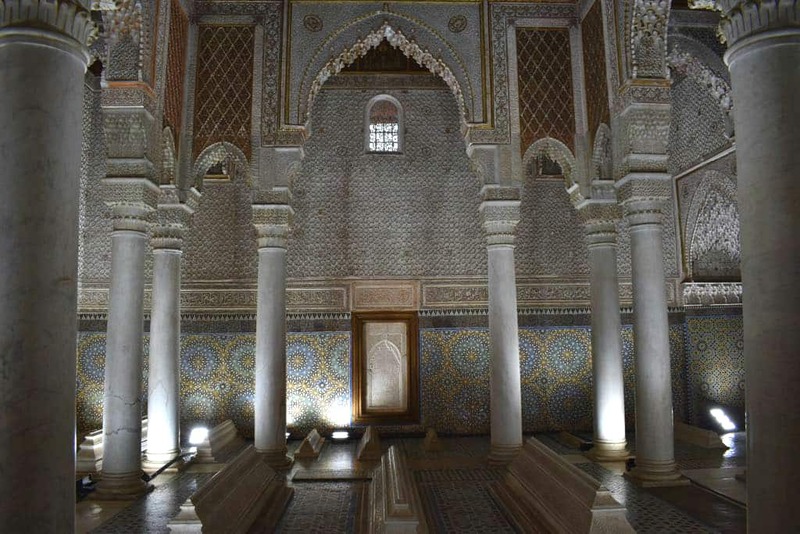 You will also visit Bahia Palace, which was built in the 19th century, and view wooden ceilings that are painted with colourful floral patterns, zellij mosaic tiles and stained glass windows. 09:00am pickup from your hotel or riad in Marrakesh. There are two options for this city – the first is to be dropped off at historical sites for sightseeing (as mentioned below). 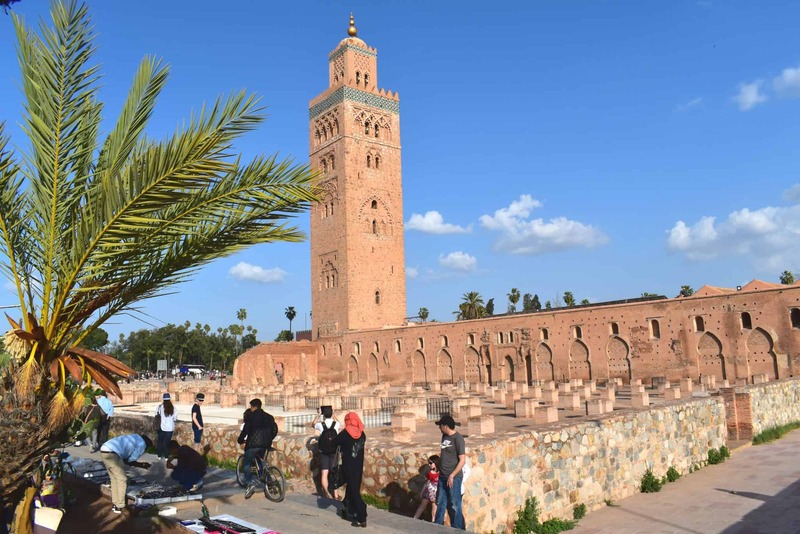 The second is to drive to different sights with a local guide and you will walk with the guide into historical sites, such as the Koutoubia Mosque (built in the 11th century), the Saadian Tombs, the Jewish Quarter, Bahia Palace, hidden places and Djemma el Fnaa. Depending on the time, if you would like to visit Majorelle Gardens, this can be included in the tour. 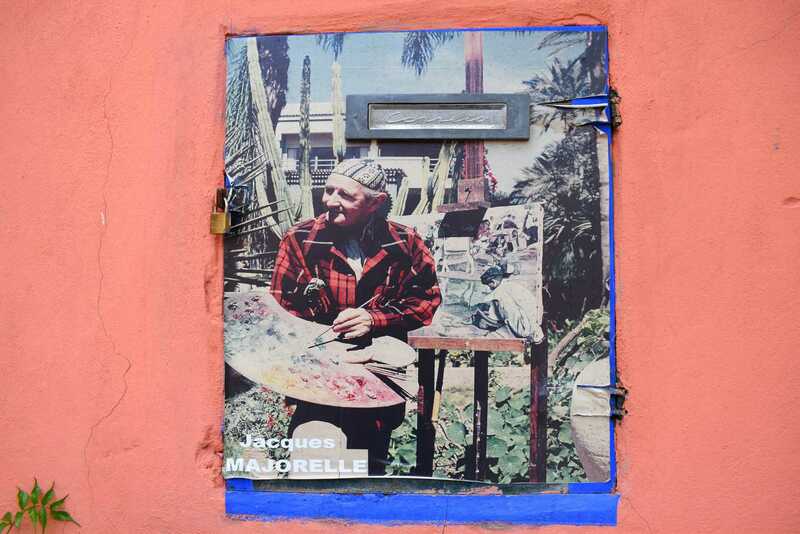 It took French artist Jacques Majorelle (1886–1962) forty years to create his own little piece of heaven. The garden is famously known for it’s ‘Majorelle Blue’ building and exotic plants, as well as being restored by fashion designer Yves Saint Laurent. Lunch will be at a traditional restaurant during sightseeing. Visit La Palmerie, which has over 100,000 date palms and you have the opportunity to ride a camel and also meet a local Berber family to learn about their culture and have mint tea at their traditional home. If you wish to skip the camel ride, you have the chance to go ride a dune buggy or a quad bike near Marrakesh and have mint tea at a traditional home with a locals. We will do some sightseeing by car as we take you to a restaurant with traditional music. 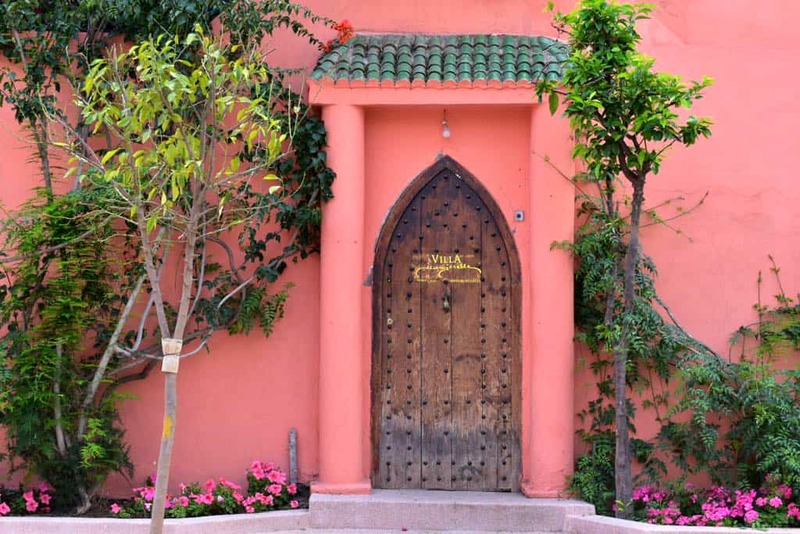 Drop-off to your hotel or riad in Marrakesh. Do you need help with your tour or transfer? Our dedicated team at Sir Driver Tours are at your service to answer any questions that you may have!